Officials work on the Metra tracks Thursday morning. Trains on Metra’s Union Pacific North line were halted Thursday morning after a body was found near the tracks in downtown Evanston. At 8:06 this morning, a Metra engineer alerted the Evanston Police Department that there was a body on the bridge that crosses over Dempster Street, Evanston police Cmdr. Ryan Glew said.The incident caused delays to the Metra train schedule for about 30 minutes, according to Metra spokesperson Katie Dahlstrom. 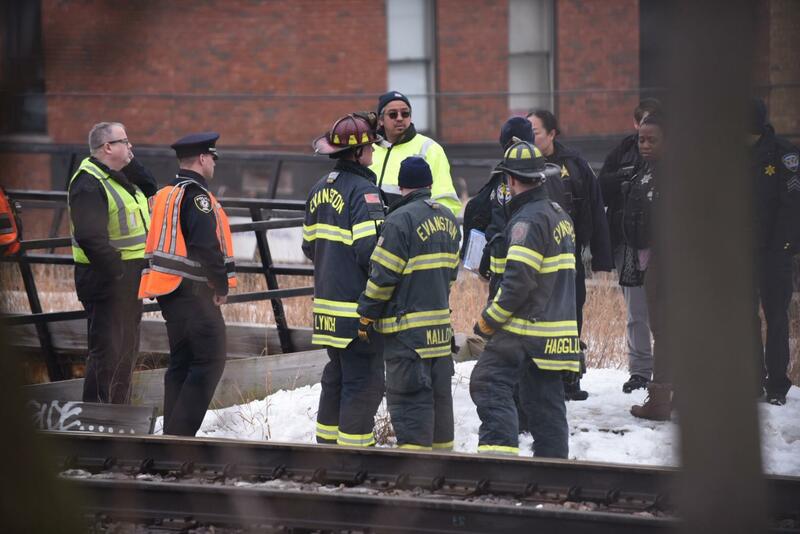 Glew said the body has been identified as a 34-year-old white male and is consistent with having been struck by a train. The engineer who reported the incident was not conducting the train that is thought to have have struck the person, Glew said. Police have identified the 34-year-old, but will not release his name until his family is notified, Glew said.